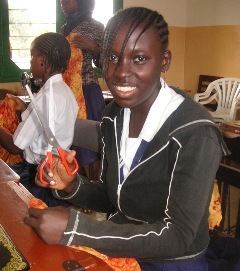 Many people sponsor an individual child, but have you considered sponsoring a class, or supporting Sunrise? Dalasi for dalasi, your money goes further because, rather than helping a single child, you are helping many. Your money will be used to help us pay our teachers' salaries as well as providing classroom equipment. 30p per day - £10 per month - £120 per year will help us to pay our teachers' salaries and increase them as they become better qualified and trained. It will also help us to buy new classroom equipment and teaching materials to help our children get the education they deserve. Our wish list on Amazon will give you ideas about the extra gifts that Sunrise Centre would like - Click on the wish list arrow on the right near the top, choose Find a Wish List, then type GETS into the search box to see the items that Sunrise would like to have. We encourage all supporters to visit Sunrise Centre on their next trip to Gambia to see the centre in action and personally deliver their gifts. For more ideas about supporting Sunrise see our Projects and Sponsor a Class pages.